This was another product given to me by Macsween Haggis to experiment with. The Moroccan Spiced Vegetarian Haggis is unlike any other product I would normally buy, and it's absolutely delicious. For a real change for vegetarians, or something new for carnivores, this is really worth a purchase. and oats. The "haggis" is simply packed with vegetables, seeds and dried prunes, apricots and Moroccan spices. 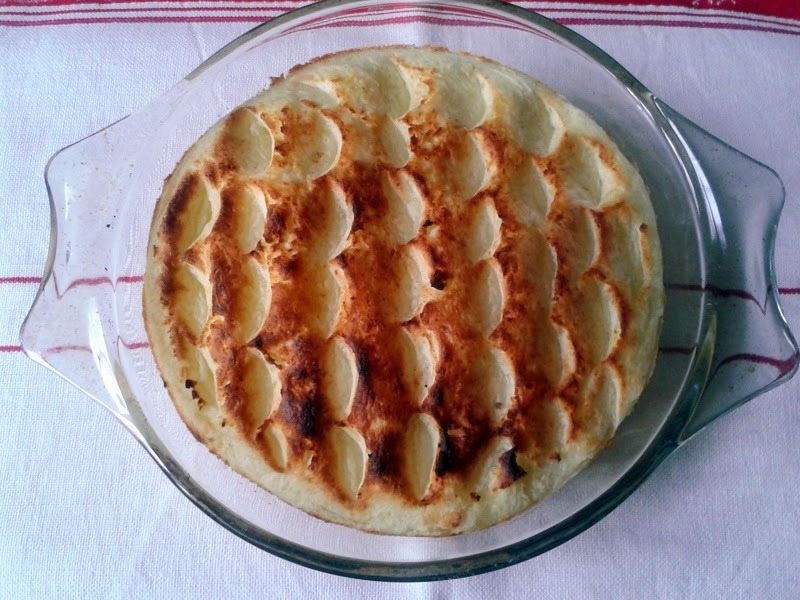 I made a hearty meal from it in the form of a mash topped pie. You could also use regular haggis as well. 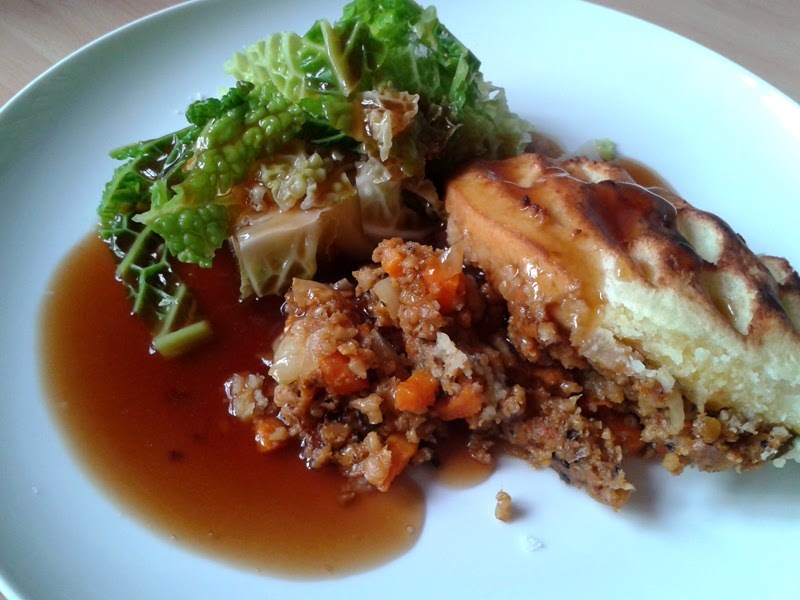 As the Moroccan flavours really packs a flavour punch, I though it best to keep the rest of the pie nice and simple. Adding onion and carrots to the mix brings in additional texture, which I always think is needed in a mash topped pie. Meanwhile, cook the haggis as per the packet instructions. I simmered mine on the hob for 25 minutes. In a frying pan, gently fry the onion and carrot until tender in olive oil. Once the haggis is cooked, remove the casing and clips and add to the carrots and onion, cooking for a few minutes more. Drain the cooked potatoes, allow to steam dry for a few seconds and mash or better, rice them until smooth. Add a splash of milk, a knob of butter and season with salt. Mix thoroughly until smooth. Put the grill onto a high heat. In a pie or Pyrex dish, add the haggis filling, then top with mashed potatoes. I like to make an uneven surface on the mash so it crisps better. You can use a fork or for a pretty effect, use a spoon to press a scallop design in the top. Serve the pie with steamed or boiled vegetables and your favourite gravy recipe.